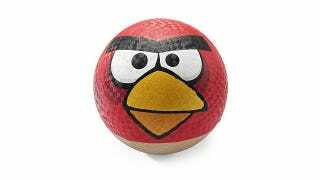 Dodge Ball | As seen at the Angry Birds online store, this makes me love dodge ball like a billion times more. Is Sword & Sworcery EP Kotaku's Game of the Year? I played a ton of games in 2011. More, probably, than any other year of my life. So when it came time to choose the best from among them, I spent a lot of time thinking back, sifting through the triumphs and the frustrations, the unexpected joys and the unfortunate disappointments. The Five 3DS Game Demos Aren&apos;t Unlimited. Some Are Nice, Though. I've only had about ten minutes with Gravity Rush, but I'm already thinking that it's one of the most exciting new games coming to Sony's PS Vita.